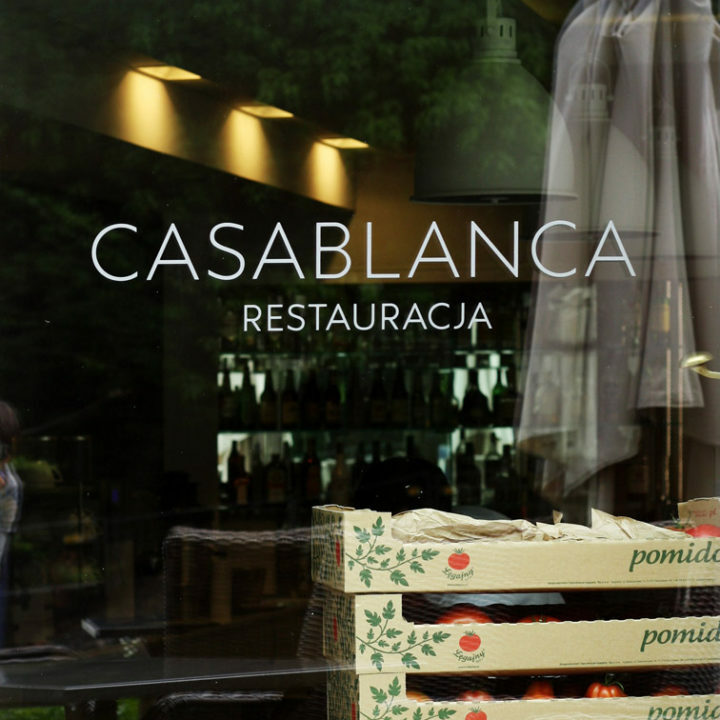 Casablanca is an old, charming Villa in Olsztyn and at the same time a name of the modern restaurant located on its groundfloor. It is also a culinary outpost of Łęgajny farm. 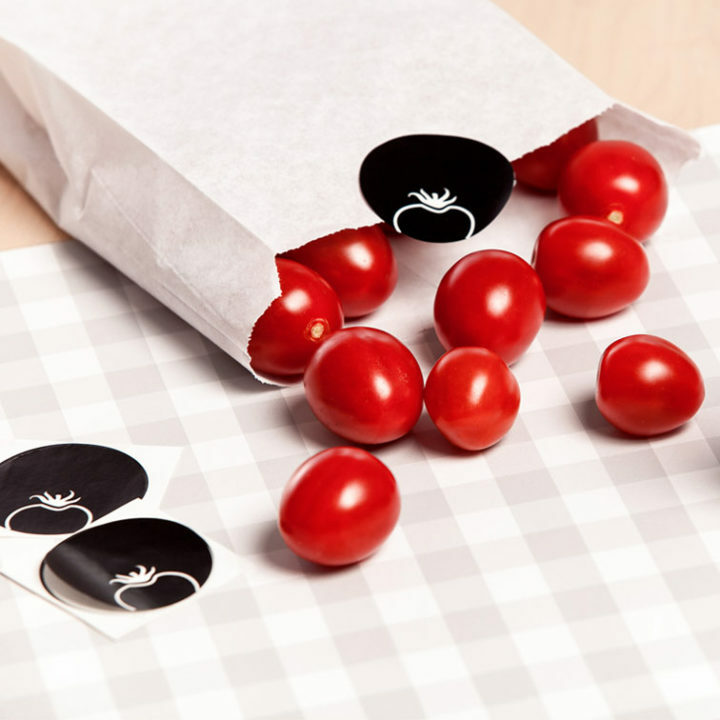 The food served is based on tomatoes grown in the nearby greenhouses. It was a challenge to create visual identity combining those remote connotations. The proposed minimalistic designed was based on Łegajny logotype, reduced to one colour and cut in the bottom part. 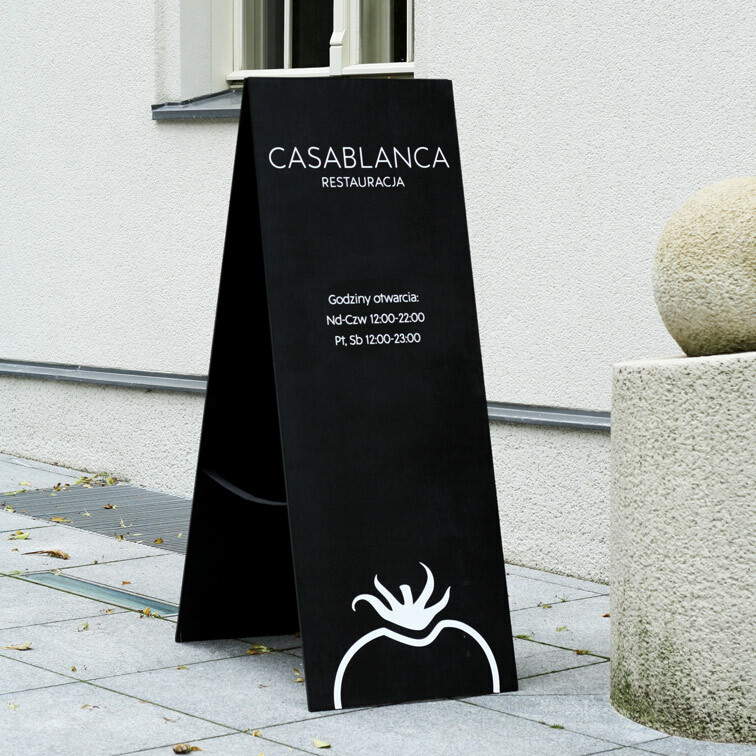 The result was simple visual identification gently fitting in elegant environment. 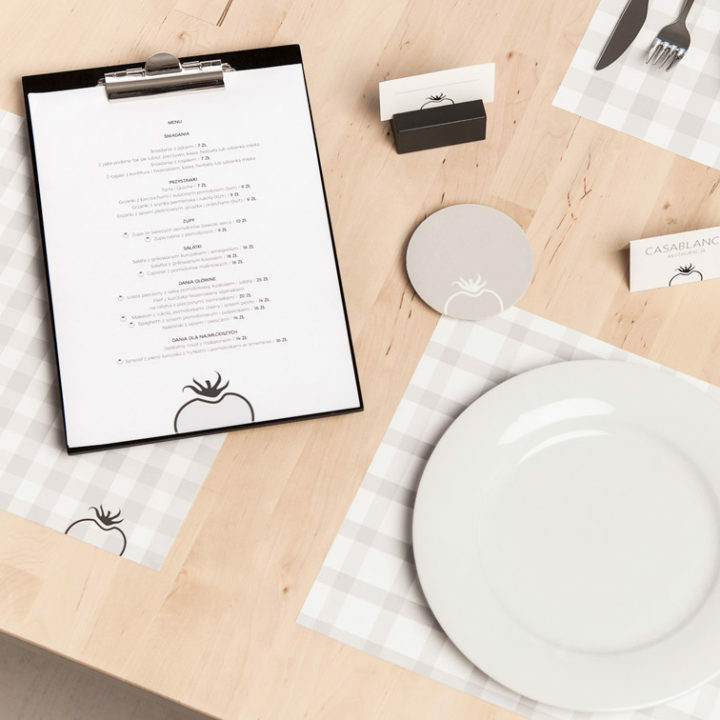 The project covered tableware, menu, businesscards with recipes and building identification.